A little-known Welsh manufacturer is tipped to be at the centre of the next iPhone’s breakthrough 3D-tracking technology. IQE, based in Cardiff, makes the special materials that are found in laser ­diodes, which are widely expected to feature in the new Apple handset. The technology will allow the new iPhone 8, expected to be unveiled next month, to instantly scan its environment to create virtual 3D models of the world around it. The feature is likely to be one of its big selling points, allowing owners to unlock their phone using ­facial recognition. IQE, which is listed on London’s junior Aim market, has seen its share price treble this year amid growing speculation that a number of new contracts it has signed relate to the iPhone. The company has an 80pc market share in compound semiconductor wafers, which are faster and more efficient than the silicon wafers used in most sensors and microchips, and are especially suited to carrying light signals. Drew Nelson, IQE’s chief executive, ­declined to deny or confirm its relationship with Apple. But last month the company said there had been a “significant ramp” in demand for “VCSEL” ­laser components, which would be used for “mass market consumer applications”. 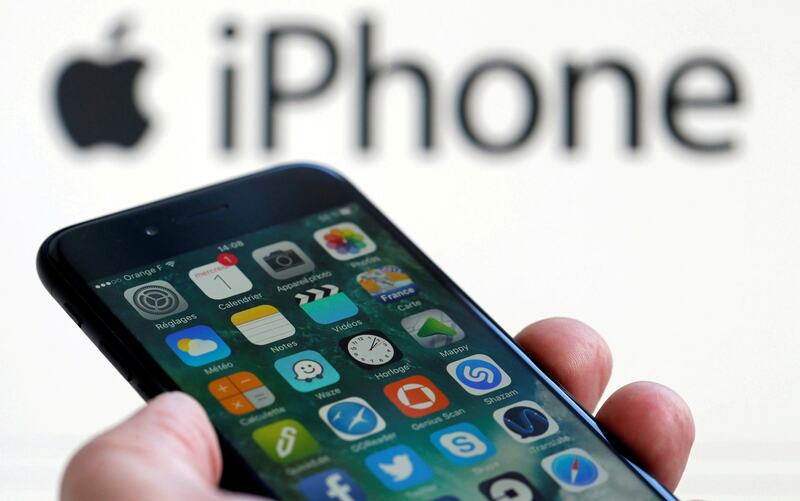 Apple is expected to release three models of the iPhone in September, with the high-end version featuring new technologies such as wireless charging and an edge-to-edge screen. The 3D sensor is likely to be used for facial recognition or augmented reality applications. Apple is expected to rely on a number of laser suppliers but several are believed to be buying wafers from IQE. The Welsh company, founded in 1988, has ramped up production in recent months to match a leap in demand. The company listed at the height of the dotcom bubble and crashed the year after, but its share price has multiplied in the last year, valuing IQE at more than £800m. Oliver Knott, an analyst at N+1 Singer, said its value could continue to rise if other smartphone manufacturers followed Apple in adding 3D sensors to phones, or if the company included them in the iPad. Supply chain reports have suggested that Apple could be forced to delay the release of the new high-end iPhone 8, although financial guidance given by the company last week soothed investors’ nerves. A number of British companies have seen their fortunes tied to the success of the iPhone. Imagination Technologies, which designs the phone’s graphics chip architecture, has been forced to put itself up for sale after Apple ditched the group this year. ARM Holdings, best known for designing smartphone processors, was sold to Japan’s SoftBank last year for £24bn.